Fresh seafood, local produce, traditional cream teas… no matter what you’re craving, you’ll find it in Bournemouth. We’ve got award winning restaurants, trendy cocktail bars and fast food chains around the resort so you can wine and dine by the sea in luxury, style and comfort. Bournemouth’s picture perfect location on the South Coast attracts independent restaurateurs and specialist chefs as well as larger chain restaurants giving you the freedom to experiment or confidence in a trusted favourite. Bournemouth’s bustling town centre is home to spacious pubs – great for a night out with friends – as well as more intimate cocktail bars – the perfect choice for a date or overdue chit chat. You’ll also find some charming watering holes in our coastal villages where you can sit outside and soak up a chilled, suburban vibe. As well as cafés in the town centre where you can sit and watch the world go by, there are plenty of places to grab a coffee or hot chocolate along our award winning seafront. Our quaint coastal villages are also home to brasseries and delis serving local produce and more exotic flavours. For those moments when nothing else will cut it, you’ll find plenty of places to pick up traditional British seaside fodder. There are fish and chip shops on the prom as well as award winning independents in our coastal villages. There’s so much to see and do in Bournemouth – it’s the perfect place for all the family. So, we’ve got plenty of restaurants that cater for children. From diners and fish and chip shops on the prom to activity cafés that’ll keep the little ones busy, you can make sure that everyone’s fed after a busy day by the sea. As well as charming tea rooms in our coastal villages, many of our hotels offer afternoon tea so you can savour a scone in tranquil surroundings. Some even look out to sea for the ultimate seaside twist on a British tradition. Surrounded by rolling hills and sparkling seas, Bournemouth’s eateries have no trouble keeping it local. Farms and fisheries bring a variety of produce into the resort. From cheeses and chutneys to prime cuts and artisan breads, you’ll find the true taste of the South Coast here in Bournemouth. Located on the coast, it’ll come as no surprise that the seafood on offer in Bournemouth is among the best in the country. Plump, juicy prawns, sweet lobster and some of the tastiest fish in the ocean are all landed locally and served up beside the sea in our award winning restaurants and hotels. Whether you’re watching the celebrity chefs with envy or shouting at the TV that you can do better, cookery schools can teach you how to master the basics or add flair to your culinary expertise. There are schools and classes in Bournemouth itself as well as rustic, country kitchen settings out in rural Dorset. Inspired by the recent explosion of craft ales, microbreweries have come to Bournemouth so you can sample the latest hop trends in a cosmopolitan seaside setting befitting of even the most seasoned hipster. The town is also a great base for discovering weird and wonderful brews of rural Dorset or venture further afield into Wiltshire and Somerset. Bournemouth hosts food and drink festivals throughout the year, giving you the chance to sample and celebrate specialist cuisine and exotic flavours both in the town itself and our coastal villages. The Christmas market is a delight for the senses as roasted chestnuts, mulled wine and hot chocolate are served from alpine huts in the town centre. With more than 30 restaurants and cafés catering for vegetarian and vegan customers, finding somewhere in Bournemouth that meets your dietary requirements needn’t be a worry. There are plenty of delicious and interesting menu options around the resort. 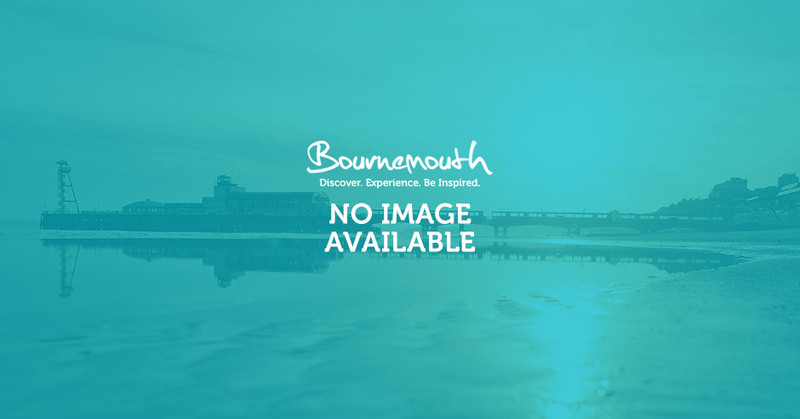 Bournemouth is proud of its cosmopolitan, multicultural flavour and there’s a huge selection of restaurants and cafés serving international cuisine both in the heart of the resort and in the suburbs of Winton and Charminster. Alongside popular Italian and Indian eateries, you’ll find Lebanese, Mongolian, Mexican and Indonesian dishes to tempt you. Whether you’re looking for a beach retreat, romantic break away, family holiday or activity break with friends, you’ll find what you’re looking for here in Bournemouth. From luxury international hotel groups, to quirky boutique hotels and self-catering offerings, there is somewhere to suit all tastes to make for the perfect coastal staycation. Download a copy of the Official Restaurant List. An American Diner at Boscombe Pier looking out at sea! The PierView Room attached to The Prom Diner, is available for private hire!